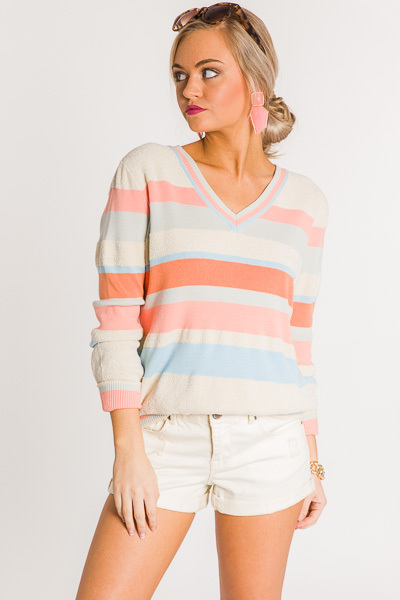 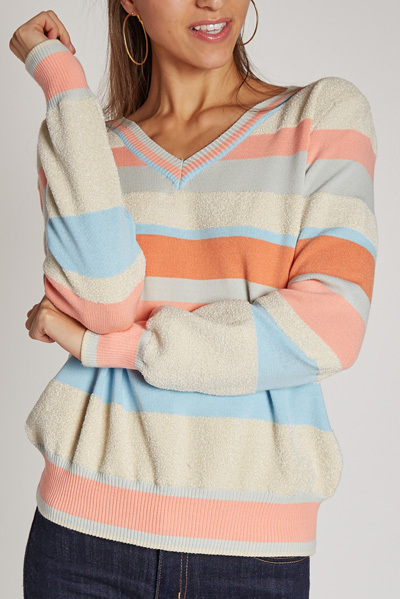 The is the PERFECT sweater to wear out on your casual winter days, but also a great piece to transition into spring! 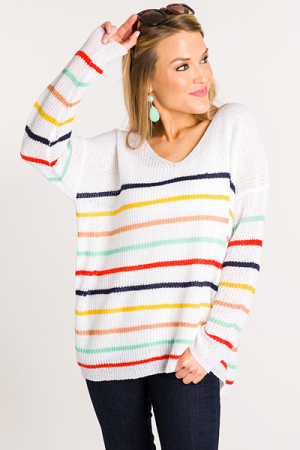 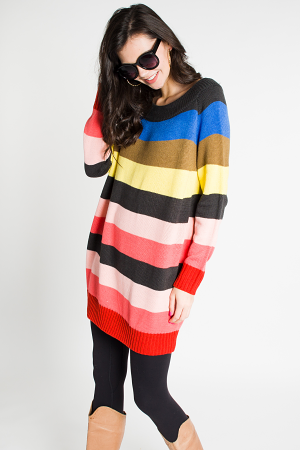 It's striped and stretchy, and super cozy on the inside thanks to the viscose blend fabric. 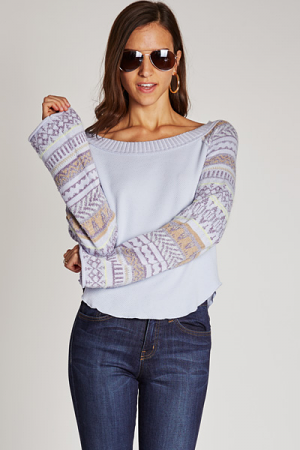 Ribbing on the neckline, wrists, and hem create a timeless shape.